Spartium junceum (Spanish broom) is a deciduous shrub (family Fabaceae) found throughout the western part of California. 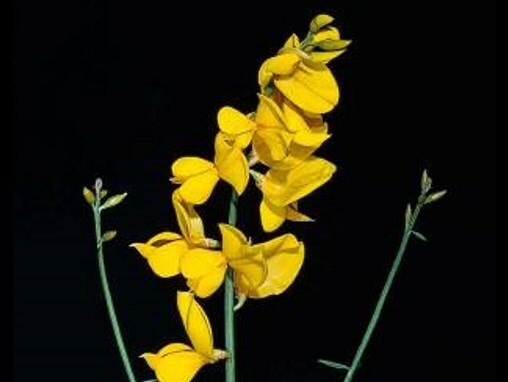 Spanish broom was introduced as a landscape ornamental and was planted along highways to prevent soil erosion. It may grow into monospecific stands, excluding native species. Broom is unpalatable to most livestock except goats, so it decreases rangeland value, while increasing fire hazards. These leguminous plants produce copious amounts of seed, and may resprout from the root crown if cut or grazed.